Are laws to allow abortion up to birth newsworthy? 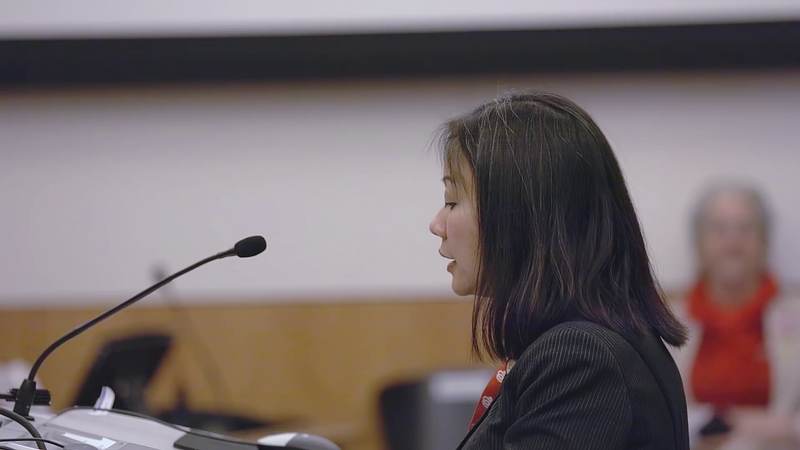 …Last week, Virginia state Delegate Kathy Tran, a Democrat from Fairfax County, introduced a bill that the lawmaker acknowledged would allow abortions to be performed as a woman is giving birth. …The media framed this not as Democrats [promoting a law that would] kill babies, but as Republicans attacking Democrats. The Washington Post…didn’t even mention the Virginia legislation for hours after the state delegate’s comments were trending on twitter – finally ran with the headline: “Va. Gov. Northam faces fierce conservative backlash over abortion bill” — as if the conservative reaction was the story rather than the fact that Northam was promoting what seemed to be infanticide and eugenics. 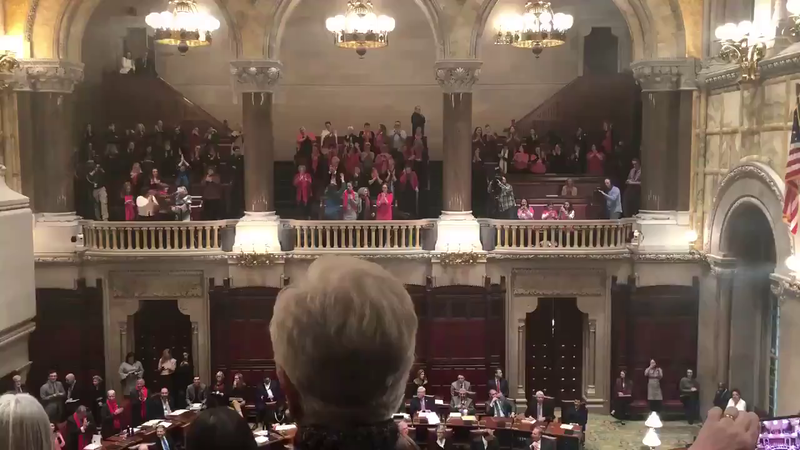 New York’s Democratic state legislature passed – and its Catholic Democrat governor, Andrew Cuomo on Jan. 22 signed – legislation that allows abortion up to the moment of birth for any reason and does not require a physician to certify that reason. The New York Times did not even write a story about the bill but included details in a piece entitled “Dream Act is Approved in N.Y. to Aid Undocumented Students, In Rebuke to Trump,” by Christina Goldbaum. The plan seems to be to pass these bills without bringing much attention to them – a victory for the Democrats without the scrutiny of a public that does not favor late-term abortions. Chart from Gallup polls. 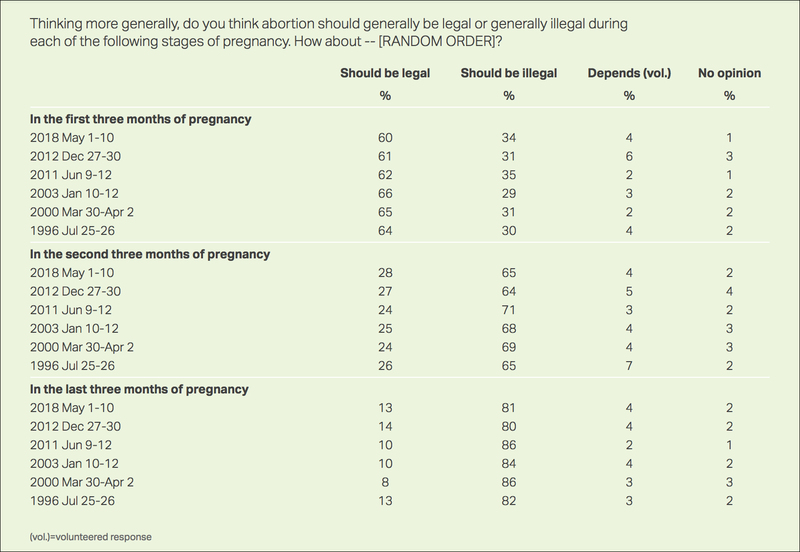 Only 13% of Americans think abortion should be legal in the last three months of pregnancy. The NY State Catholic Conference explains the newly passed New York abortion law. Note to students: Abortion is a controversial topic. When discussing, be polite to one another. Life is not always easy. Be kind to each other. The issue here is the media's responsibility in reporting facts accurately. 1. Multiple stories were written about Virginia Gov. Ralph Northam’s racist yearbook photos depicting him (or someone else as he now claims) in a KKK robe and another in blackface. What type of bias does the media display by reporting extensively on Gov. 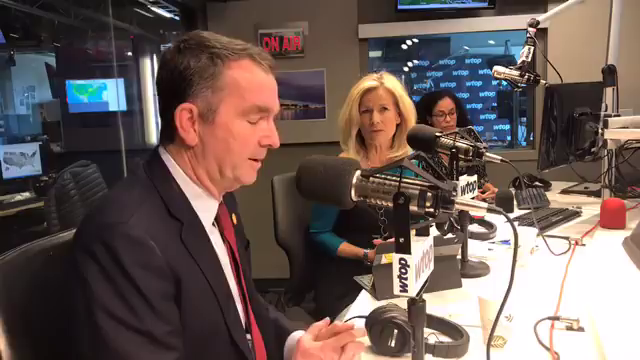 Northam’s racist photos but barely reporting on his defense of aborting babies just before or after birth? 2. The media’s job is the inform the public. What responsibility does the media have to report on the details of New York’s new historic law? Explain your answer. 3. Write 2-3 headlines you think you should see. The push for these [abortion] bills across the country isn’t a coincidence — it’s the result of a coordinated effort by radical organizations. Last year, Planned Parenthood announced what it called its Care for All initiative, a strategy intended to protect abortion rights in the event that the Supreme Court eventually overturns Roe v. Wade. “With the confirmation of Justice Brett Kavanaugh, we are kicking our plan into high gear,” it announced. “This multi-million dollar, nationwide effort will be working to ensure that abortion is still accessible in the United States, no matter what happens at the Supreme Court.” Planned Parenthood receives more than half a billion dollars annually from taxpayers, by the way. It is no wonder that it has a budget for such initiatives. In addition to New York, similar abortion laws are being pushed in New Mexico, Massachusetts, Vermont and New Hampshire (and the Virginia bill that was shelved because Republicans hold the majority). Why is this newsworthy? Explain your answer.